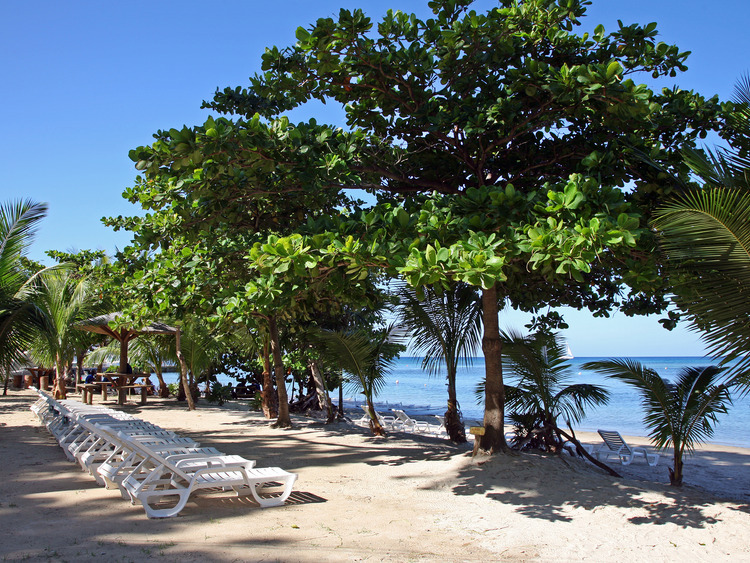 We enjoy a few hours relaxing on the splendid Tabyana Beach, a paradise with fine white sand that is partially surrounded by the magnificent coral reef. We leave the pier by coach and, after a journey which takes about 45 minutes, we arrive at Tabyana Beach with its beautiful white sand beach lapped by crystal clear waters and surrounded by rich tropical vegetation; the cool Caribbean winds make our stay here very pleasant. The beach is considered to be the best on the island and the third best in the whole of the western Caribbean. The beach boasts sun loungers, fresh water showers, toilets and private cabins, a shop with local souvenirs and a bar with Caribbean music, in addition to a restaurant which serves excellent grilled dishes. The more adventurous guests can go snorkeling to admire the unspoiled coral reef which is only 20m from the shore, closer than any other beach on Roatan. Not included: cost of watersports and hire of snorkelling equipment.